A relatively short (~30-50') tree, usually with multiple trunks, growing in moist woods and along streambanks. The Boxelder is the only maple in North America whose leaves are compound (divided into parts - in this case usually 3). Only the female trees make the "helicopter" fruits common to maples (technically known as samaras, also called keys), and only if there is a male nearby. 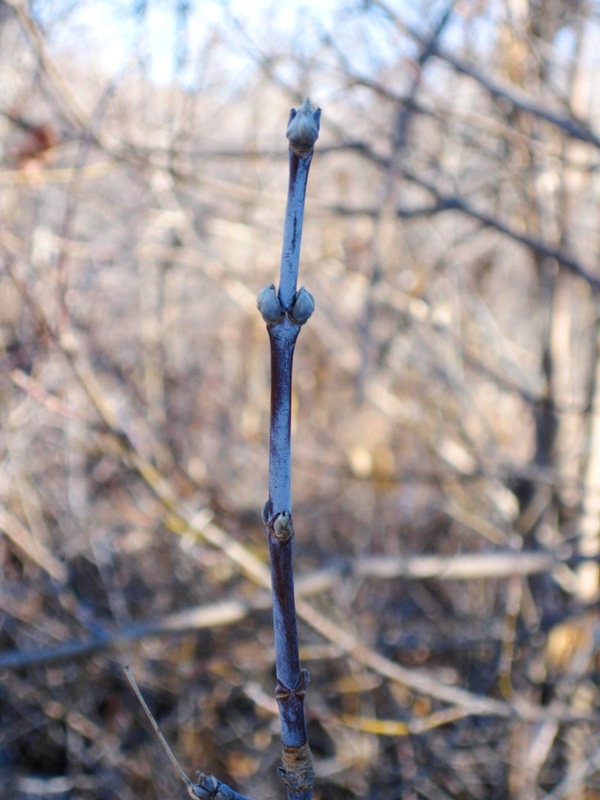 In winter, they're easy to recognize by their chubby, opposite buds; the twigs are fresh looking, green or purple, and covered with a fine fuzz that's easy to rub off. The wood is abnormally soft for a Maple, and branches tend to break off easily, making this a somewhat scraggly tree. The most widespread maple in the world, stretching from Ontario south to Guatemala, with a native range that covers a wide swath of North America. In many parts of the US, especially eastern states, it's considered a pesky tree at best; in Australia it's officially considered an invasive species. Acer means "sharp", in reference to the normally hard wood of maples, which the Romans used for spear shafts. Negundo is a Sanskrit word referencing the resemblance to Chastetree (Vitex negundo). 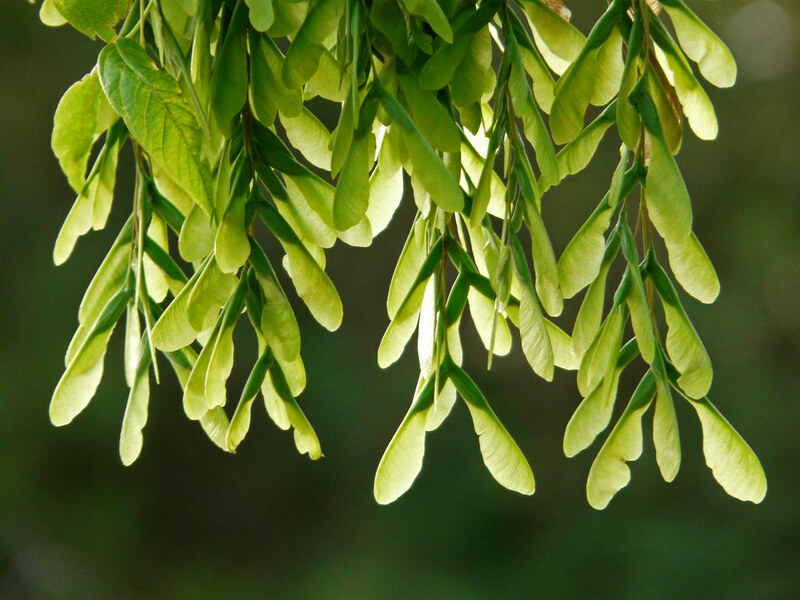 The name Boxelder (or Box Elder) comes from the leaves' similarity to Sambucus (Elder) and the white wood's likeness to Boxwood (Buxus sempervirens). A few sources say it's named for the fact that people make boxes from its soft wood, but I'm not buying it. This is also commonly known as Manitoba or Ash-leaf Maple. In Spanish it's Fresno de Guajuco. 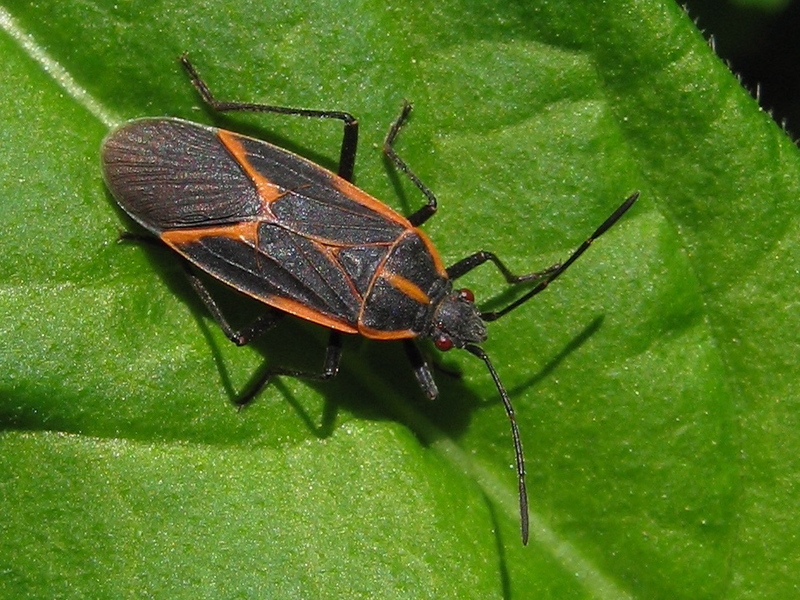 Tidbits: Acer negundo is most famous for its relationship to the Boxelder bug (Boisea trivitattus). There are many myths and misconceptions floating around about these little critters, so let's break it down. 1. 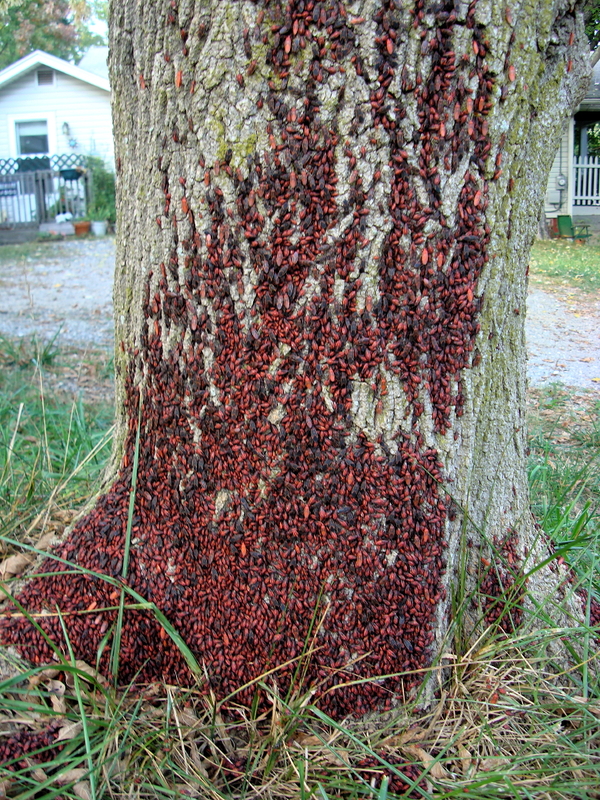 Boxelder bugs are found on all kinds of maple and ash trees, but greatly prefer Acer negundo. Only the female trees are hosts to the bugs. They feed on low vegetation in spring, lay eggs all over the tree in mid-July, and start to move toward overwintering sites in fall. 2. These overwintering sites may very well be your warm, cozy house! Some buildings are more susceptible to the invasion- namely, the sunniest ones (tall, good southern exposure). Adults can travel up to two miles in search of a winter home, so chopping down the Boxelder tree in the front yard might not save you (although it may help). 4. They don't cause any noticeable injury to their host trees. 5. It's highly unlikely they'll gobble up your house plants. 6. They might leave streaks of poo on your walls and curtains. This is probably their greatest fault. 7. The best defense is offense. For a great reference on what you can do to seal up your home, see this U-MN Extension publication. 8. You can find piles of the bright red nymphs throughout the summer. They're harmless, fascinating insects to observe. Boxelder is highly sensitive to 2,4-D (a common herbicide), and is susceptible to fire and mechanical damage due to its thin bark. The wood is used for fiberboard, cheap furniture, pulp and fuel. You can tap these trees in spring to produce maple syrup. 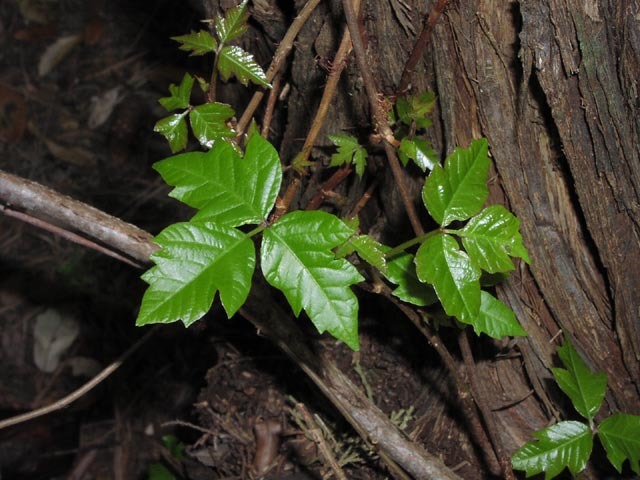 Seedlings and young saplings look a lot like Poison Ivy (Toxicodendron radicans). The top photo here is a boxelder. Notice the bottom poison ivy has really shiny leaves. Not a perfect identifying feature, but a decent starting point. This is a fast growing, short-lived tree (avg. 60 yrs) that's hardy to Zone 2 and highly drought tolerant. With it's prolific seeds and ready establishment, it has a tendency to become weedy or invasive. It also suckers like crazy where branches have been cut or broken. Maybe not the best choice for a tidy lawn, but fine for naturalized areas in the west. In fact, it provides essential habitat factors for backyard wildlife. Besides Boxelder bugs, it's a larval host to Cecropia Silkmoths (Hyalophora cecropia-mostly found in the east). It's wind-pollinated but also visited by bees. 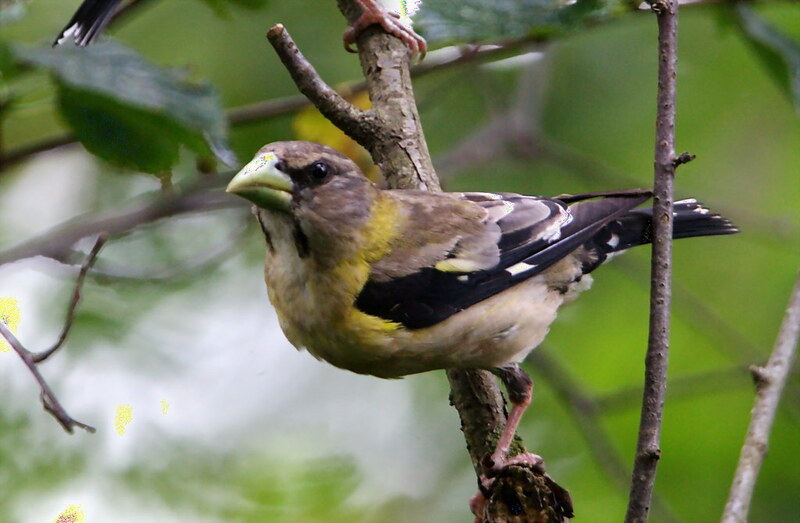 Squirrels and many birds, particularly the Evening Grosbeak (Coccothraustus vespertinus), feed on the seeds. 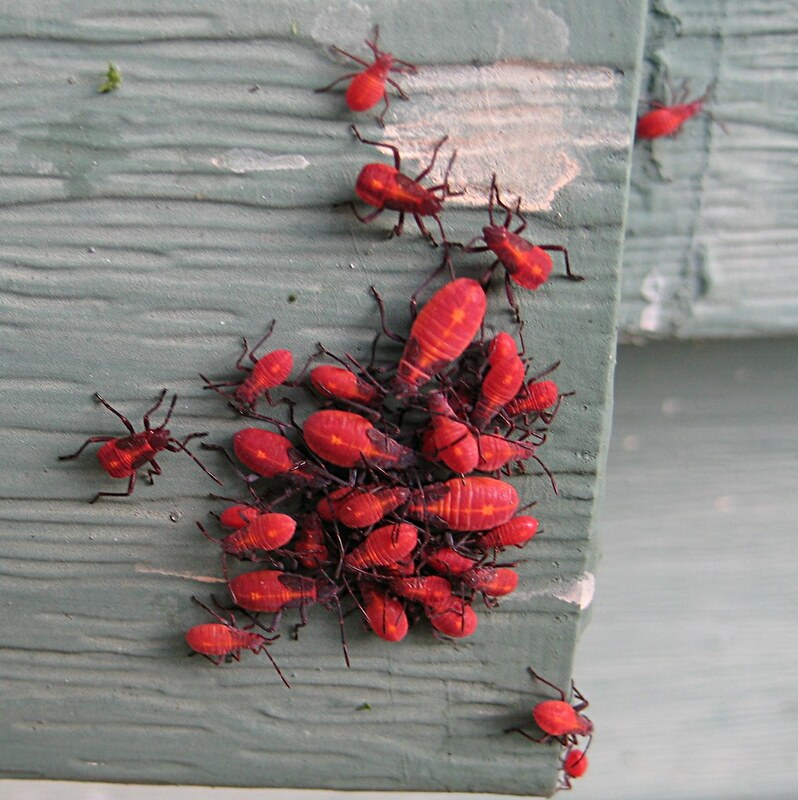 There is an influx of Boxelder bugs in the Woodlawn, Ontario are this fall. My house is covered with them. Every day, I find myself struck with wonder and delight. I'll learn what I can, and share what I learn. 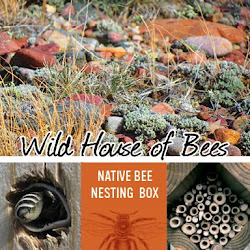 Stories of Rocky Mountain native plants, attracting wildlife and conserving water in the landscape, the naming of things, and other ways of exploring the world. Where can I learn more about Wild Beekeeping?! Prints of nearly all the native plant photos you see here, and many others, are available for purchase. Click here for details on ordering. Want to explore native plants, natural history and gardening for wildlife? Here is a handy list of businesses, organizations and resources in the Missoula community that will help you on your wild gardening adventure! "Flora montana" is licensed under a Creative Commons Attribution-NonCommercial-NoDerivs 3.0 United States License.